This Stamp is made for rectangular logo's or 3 lines of long text . This Stamp is made for rectangular logo's or 3 lines of long text . 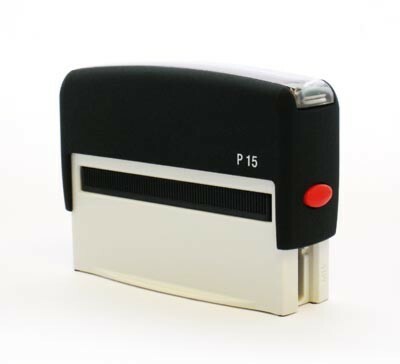 All Self-inking hand stamps have an exchangeable ink pad which has to be refilled or renewed from time to time, as soon as its inking capacity has abated.